Welden Henry Thies, age 98 of Linn and formerly of Joplin, passed away Wednesday, December 5, 2018, at his granddaughter’s residence in Linn. He was born March 30, 1920, in Elgin, Illinois, a son to the late Fred and Amanda (Richard) Thies. Welden attended school in Elgin. 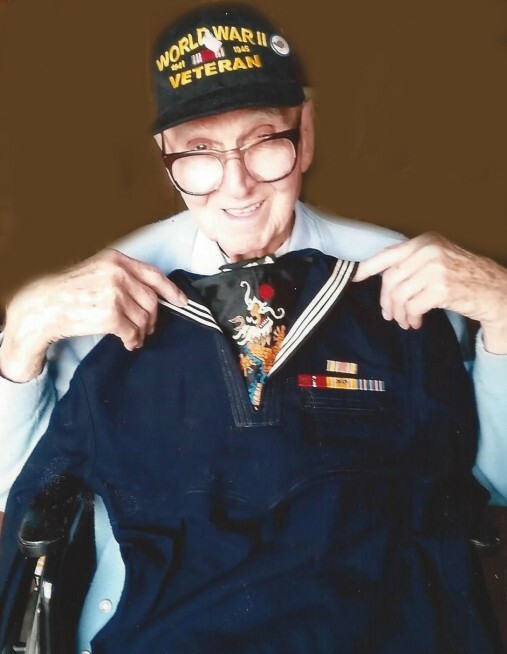 He served his country in the United States Navy as a Radarman 3rd Class during World War II before being discharged in January 1946. He then went to work for International Harvester where he worked as an Engineer before his retirement. Welden was a life member of the VFW, American Legion and the United States LST Association. He enjoyed traveling across the country, boating and riding his motorcycle. Welden is survived by: two grandchildren, Lori Blatter and her husband Gary of Linn and Maureen Hunt and her husband Dave of Ashland, Nebraska; six great grandchildren, Katherine, Joseph, Matthew, Kaitlynn, Kassie and Timothy; three great great grandchildren, Nicholas, Zander, and Bailey; and one niece, Shirlee “Polly” Morris and her husband Donald of Elgin, Illinois. In addition to his parents, Welden was preceded in death by one son, Welden Darrell Thies and one brother, Paul Thies. Visitation will be held from 9:00 a.m. to 11:00 a.m. on Tuesday, December 11, 2018, at Morton Chapel in Linn. Funeral Services will follow at 11:00 a.m. with Chaplin Bart Larson officiating. The funeral procession will then be escorted by the Patriot Guard to the Missouri Veterans Cemetery in Waynesville where Welden will be interred with Full Military Honors. Expressions of sympathy may be made to the Disabled American Veterans Association.